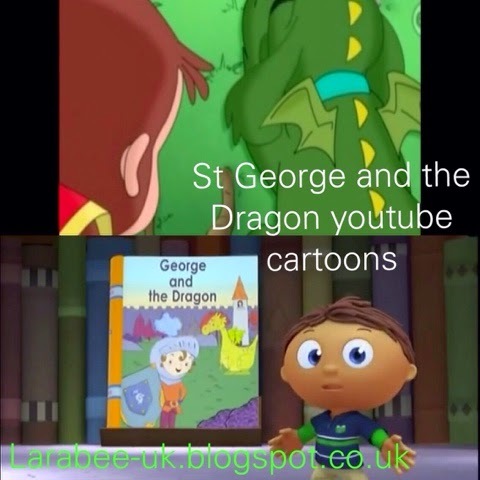 To kickstart our St George's Day activities for T this week, I started off with finding some St George's Day video's for him to watch. I was quite picky about what the video's depicted as I actually think that T is still too young to even consider talking about sacrificing virgins and slaying dragons, mythical or not! 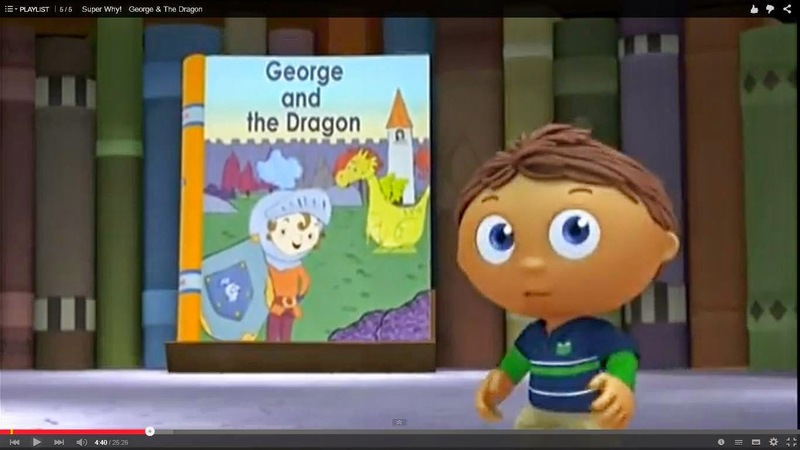 I turned to YouTube for our video's and here they are in case you'd like something a little patriotic for your littles to watch this week. Here are the 2 suitable cartoons that I've found. You can find our St George's Day activities from last year here.